Whether you are a first-time home buyer or are thinking of purchasing your next home, you’ve probably been given advice from friends, family and co-workers, many of whom are encouraging you to buy a home. However, you may still wonder if this is the right time or even if buying a home is the right thing to do. Knowing you are making an informed decision takes the stress out of the process. This site provides you with both general information about buying a home and information about buying a home in Colorado and also relevant links to other sites. Today’s housing market in the Denver area is changing rapidly. There are some challenges and also great opportunities for buyers. The interest rates are still low and housing prices are the best they have been in 7 to 10 years and sometimes better. Please contact us with any questions or for a free individualized consultation focusing on your needs. what is your monthly income ? what your monthly credit card bills are, an estimated average? do you have money for a down payment and how much do you have? what type of a loan are you interested in pursuing? This should ideally have been initiated prior to finding your perfect home and can progress while you are looking at homes. To initiate the approval process you will have filled out a loan application and given the lender permission to pull your credit report. The lender then examines your credit report, your income, and your expenses and determines how much you can borrow and what the interest rate. You will be asked to provide the lender with various documents to verify your finances and income. Final approval is given after your file has gone through underwriting and you have met all of their conditions. (See Underwriting below) Closing then follows shortly after that. They won’t start the final approval process and underwriting process until you have gone under contract on a home. This is often considered the “fun” part. You should meet with your agent and talk with her/him about the type of home you want, the location and of course the price range (which your lender has helped you determine). How soon do you need to purchase and be moved in by? Do you have any other special requirements such as allergies or accessibility. Your agent will then look through the homes that are listed and provide you with a list that meet your criteria. You will go through this list and choose the ones that you want to see. Basic questions on criteria: How many bedrooms, how many bathrooms? — do you want a garage and how many spaces? — do you want a basement?– Location? — What type of property: townhome, condo, single family, duplex, farm, ranch… — Big yard or small yard? — Style of home: ranch (1-level), 2 story, tri-level …? And many more questions. Once you have found the right home you will work with your agent to determine the best price to offer. Your agent should offer to prepare a report on similar properties that have recently sold and help you interpret that to determine your offer price. The agent will the create a “Contract to Buy and Sell” and you will sign it. You will then be asked to write a personal check or get certified funds for the “Earnest Money”. And your agent will contact your lender to get a pre-qualification letter. A copy of the Earnest Money check and the lender letter will be included with the offer and sent to the listing agent. In the “Contract to Buy and Sell” there is a date table which your agent will also go over with you. The date table establishes the deadlines for you to do your due diligence on the property everything from reviewing the title and HOA documents to the inspection and appraisal. This is where the works really begin for your Real Estate agent and why you need to have chosen a knowledgeable and experience agent to look out for your best interests and help you manage these dates and deadlines. If the seller counters your offer then you will need to decide if you will accept there counter or you can counter their counter. 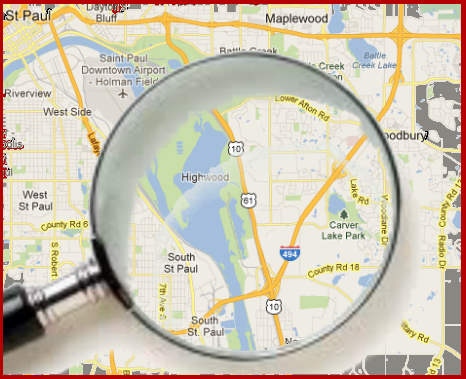 This is where you will find a good real estate agent invaluable. This can go back an forth for a while until all parties are satisfied or one party can choose to decline (terminate) negotiations. Once the offer is accepted your agent will have you sign the disclosures if you haven’t done so already. The agent will give your lender a copy of the contract and counter (if applicable) so that he can start processing the loan. The title company will also get a copy of the contract and any counter so that they can begin processing the title work. And you will start your “due diligence”.